As election into conselorship and chairmanship offices in Kadunal local government secretariats scheduled for this May gathers momentum, a non-governmental organisation, Legal Awareness for Nigeria Women (LEADS-NIG) on Thursday, March 29, brought all critical Stakeholders together for the purpose of having successful and acceptable outcome. Executive Director, LEADS-NIG, Barr Rebecca Sako-John said, her organisation with the support from Christian Aid was working round the clock to bring both the citizens and their policymakers together by way of treating all sides to a better Nigeria critically, hence the call for the dialogue. According to her, the one-day dialogue which was supported by Christian Aid Ukaid through its Voice to the People (V2P) project in Kaduna State targeted at engaging election management bodies which are INEC and State Independent Electoral Commission (SIECOM) to address identified grey areas in the electoral processes towards the forthcoming LG poll. 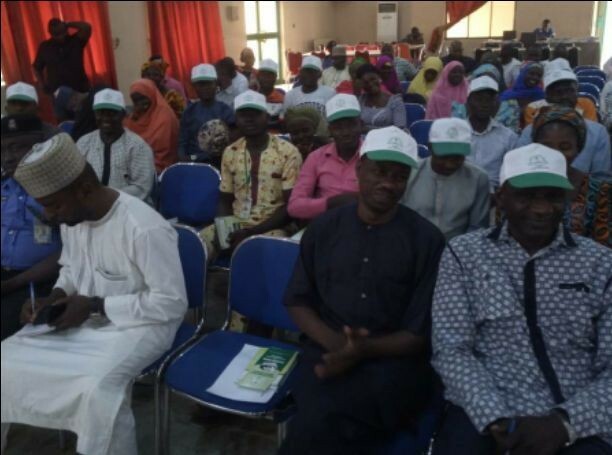 The meeting, which was well attended by key members of political parties, civil society organizations, interested citizens, security agencies and the media was in furderance of citizens-policy makers engagement activities of V2P project. At the end of the interaction which lasted about five hours, SIECOM showed its readiness to conduct a free, fair, credible 2018 local government elections in Kaduna State but clarify that, those with temporary voter’s card (TVC) would not be allowed to take part in the election. The reason given was that, the card reader will not recognize TVC. What this means is that, it will not be possible for newly registered voters whether those that are transferring their PVC or those that just attain eligible age 18 to get their PVC before local government election thereby denying them the opportunity of electing their choice representives. Chairman, Conference of Nigeria Political Parties, Usman Mairakunmi stated that the disenfranchisement of voters should be of concern to stakeholders.